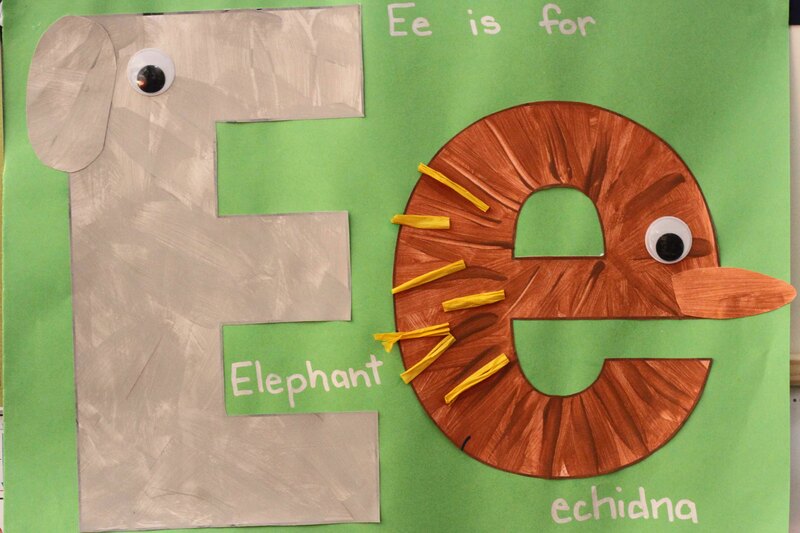 We started out Preschool Letter of the Week E with an alphabet pinwheel. 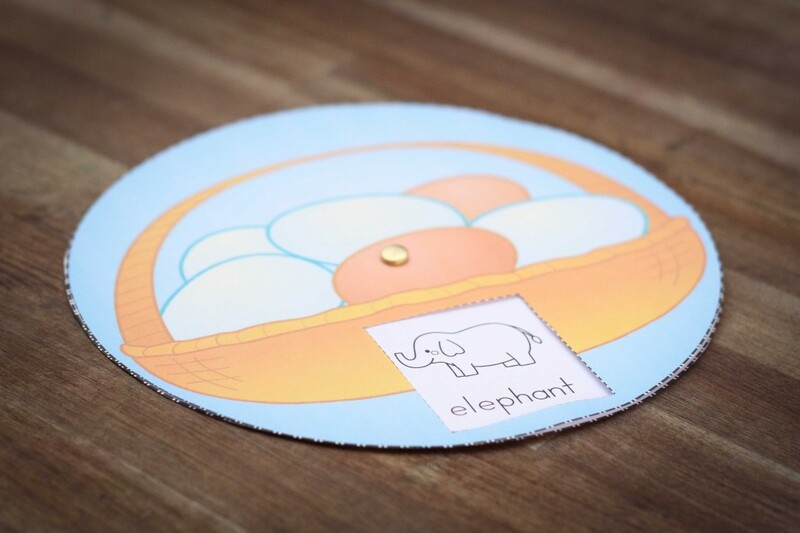 I would have liked to start with our beginning sounds basket, but all I could find in our house were eggs and envelopes…. and I wasn’t sure whether filling a frail basket with some eggs for a preschooler to handle would have been all that great of an idea… I suppose I could have boiled them. But, of course, I didn’t think of that then! Oh well – moving on! Here is what the pinwheel looked like. (You can get the E pinwheel here). I showed Filip how to rotate the second wheel and he loved watching the images appear in the little window. 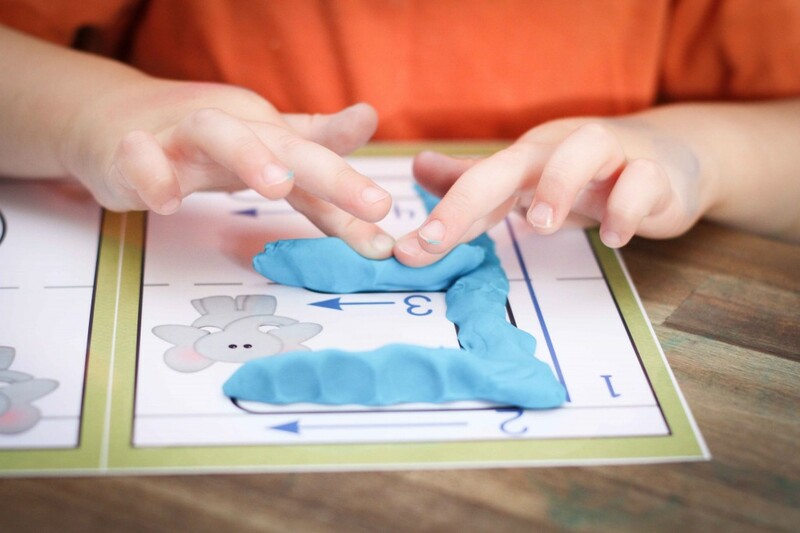 We then moved on to our Alphabet Play Dough Mat. 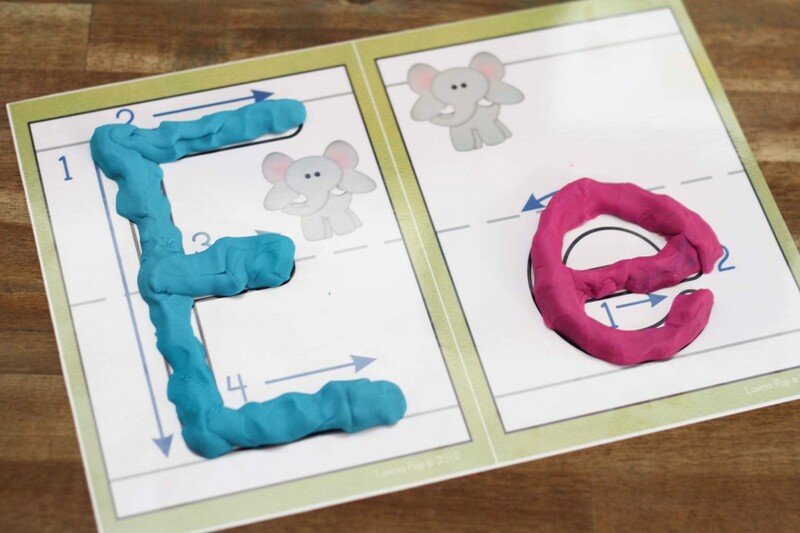 As usual, he started by finger tracing both uppercase and lowercase e, and then he used play dough to form the letters. 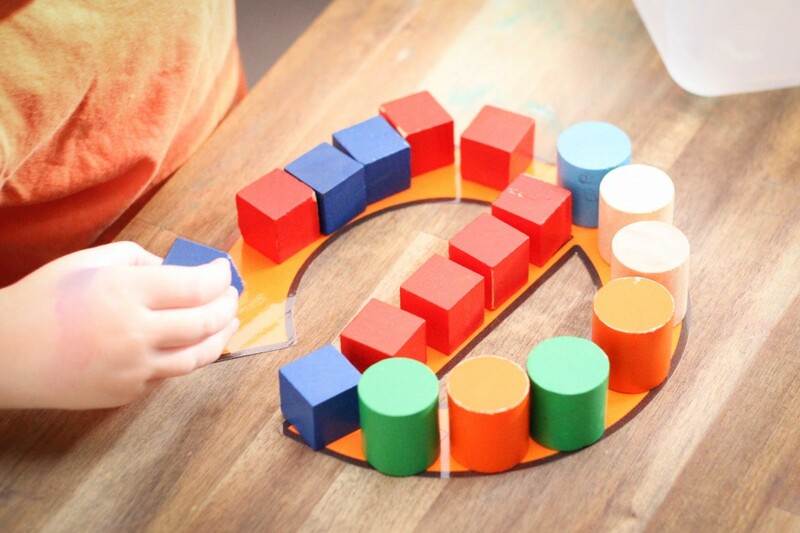 I’d like to mention here that these mats are one of my favourite tools for teaching preschoolers their ABCs! 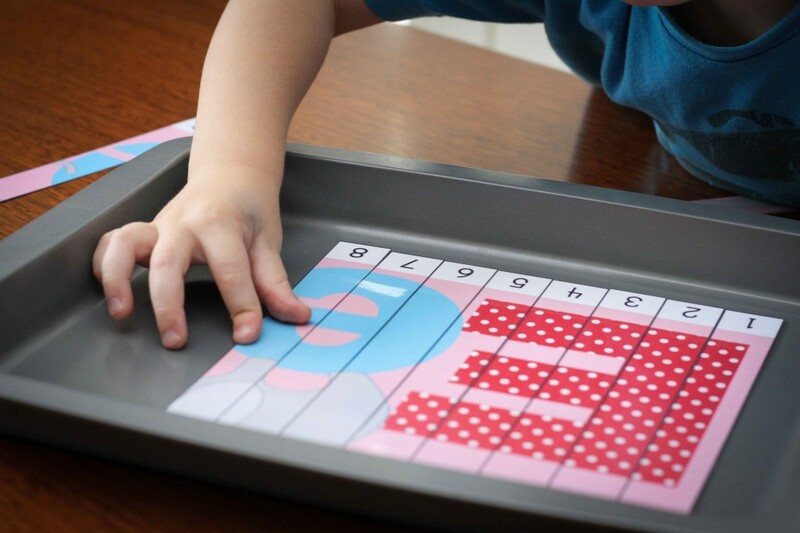 Not only are they fun and help with development of fine motor skills, but they are also very practical and can be used in many different ways to focus on different skills and concepts! 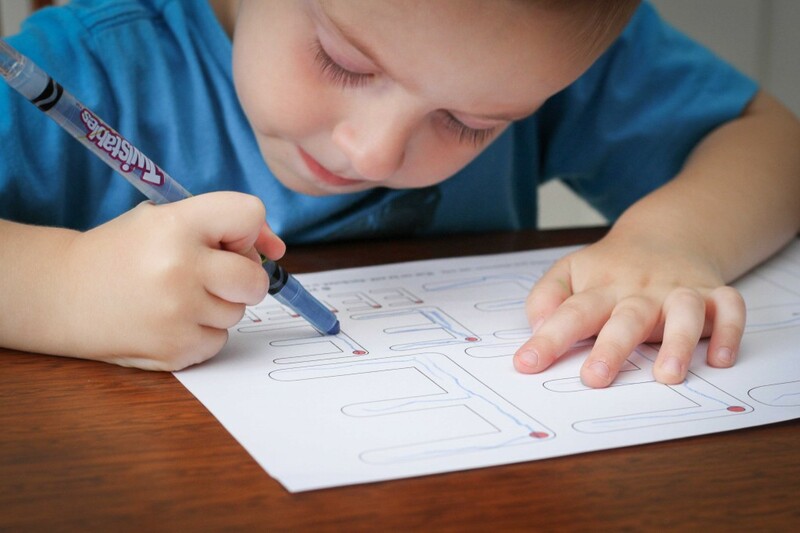 I personally LOVE the directional arrows which show kids how to form the letter correctly AND the fact that they are placed on handwriting lines so that children can begin to understand that each letter has a specific height and has a correct position on the writing line. 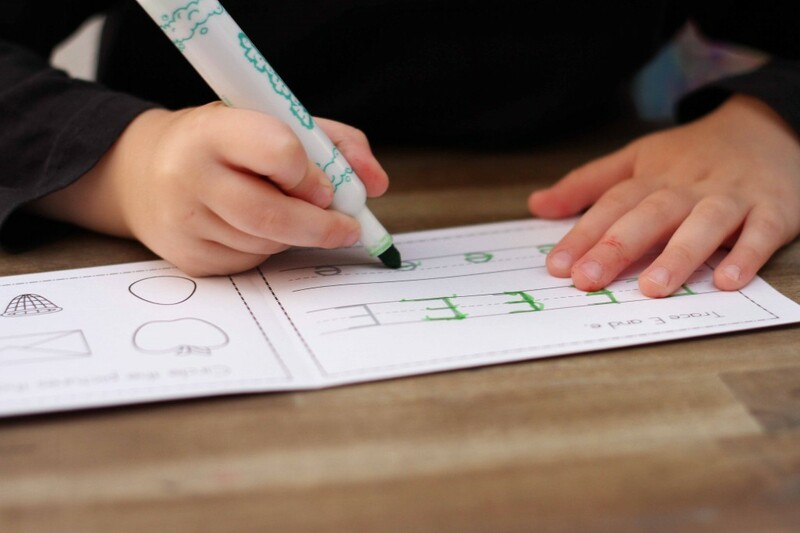 While we are not focusing on the writing line at the moment, I’m hoping really bad quite certain that when we get around to reading and writing words on a handwriting line, he will not struggle too much with letter placement. Anyhow, here is the end result! 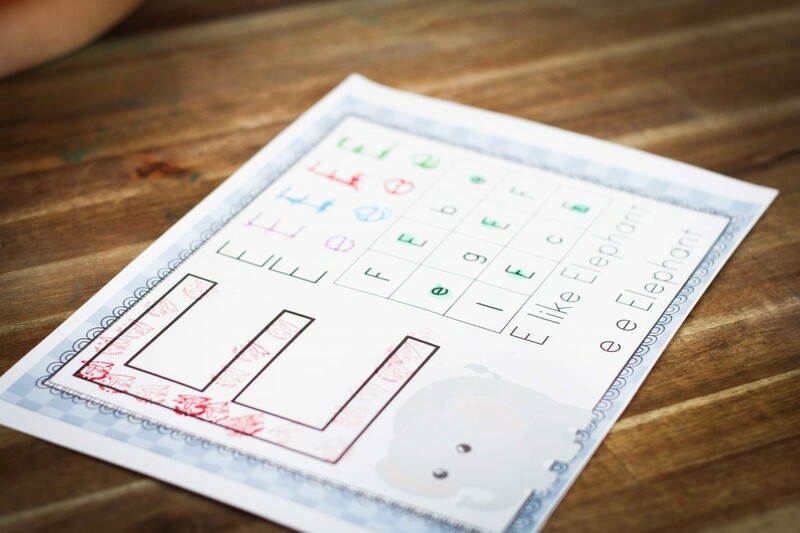 We tried a new letter recognition worksheet this week by Mariela Santillana, which you can get for free here. Filip loved it! 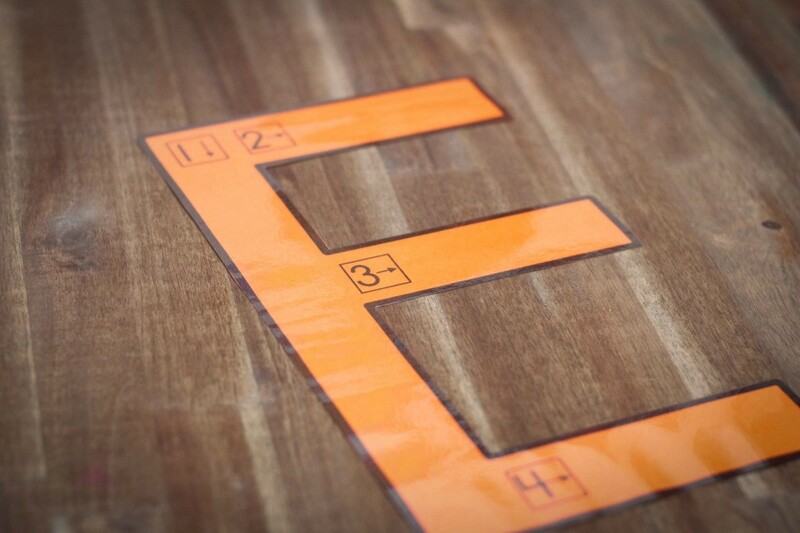 He traced the letters at the top using his “smelly” markers, and then he dot-painted the capital and lowercase e’s. Filip has been playing with his building blocks a lot this week, making houses and all sorts of shapes, and I thought it would be nice to extend his building experience to include our Letter of the Week! I saw this idea somewhere on the net and came up with my own version: Letter building for cubes! We finished the first day with our Preschool Letter of the Week E craft – “E” for elephant and “e” for echidna (an Australian ant-eater type of animal). We started our second day with our Beginning Sound Scoops. This time, I turned the scoops picture-side down and Filip had to turn them over and tell me whether they started with the “e” sound, or with a different sound. 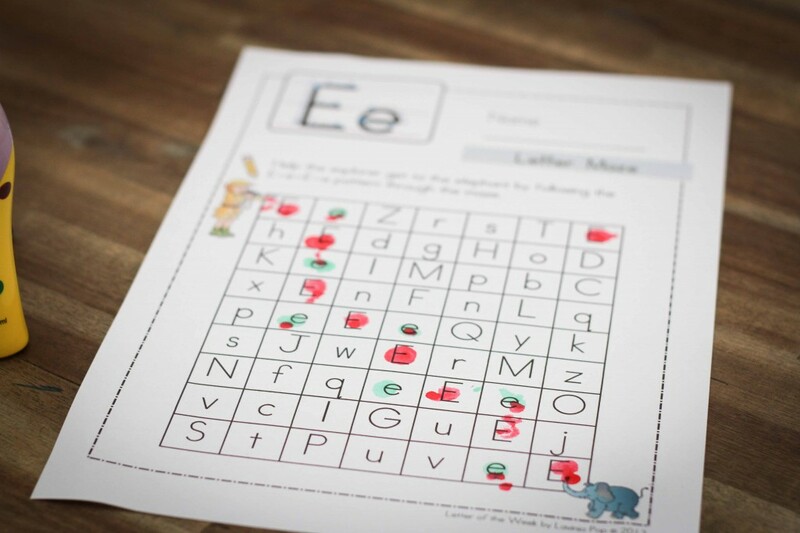 Uppercase letter E tracing using the printables from The Measured Mom. 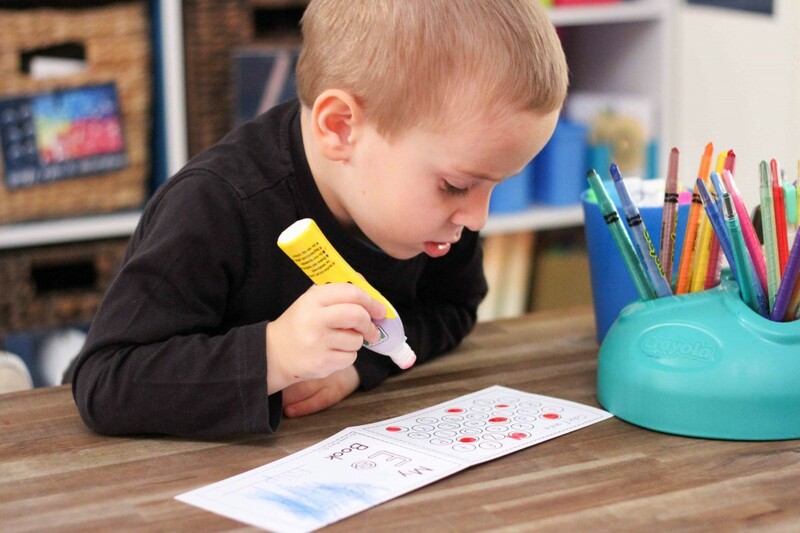 Here is my lil’ man working on his Preschool Letter of the Week E Number Puzzle. I have started putting adhesive magnets on the back of each strip and use them in a baking try; Filip was getting frustrated with them at the start because the strips kept moving out of place but the magnets on the back really help to keep them in place . We finished Day 2 with a pre-writing practice sheet (From the Pond). 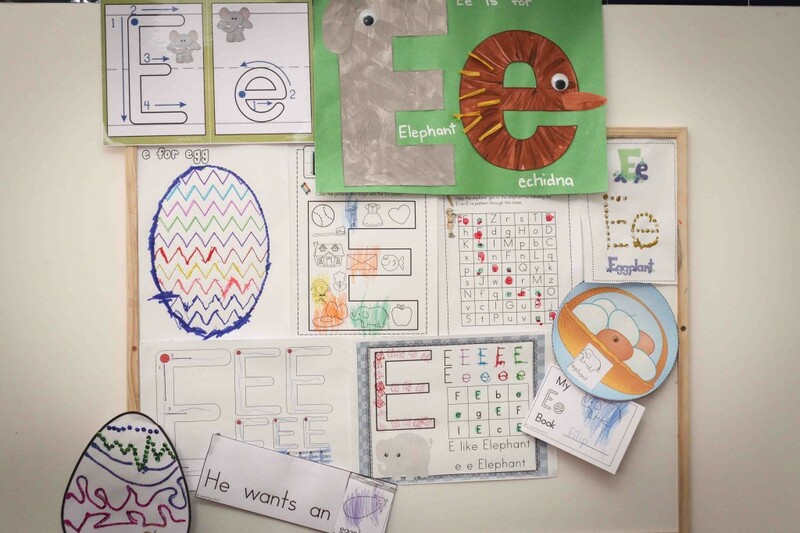 Filip started Day 3 of our Preschool Letter of the Week with an alphabet maze. 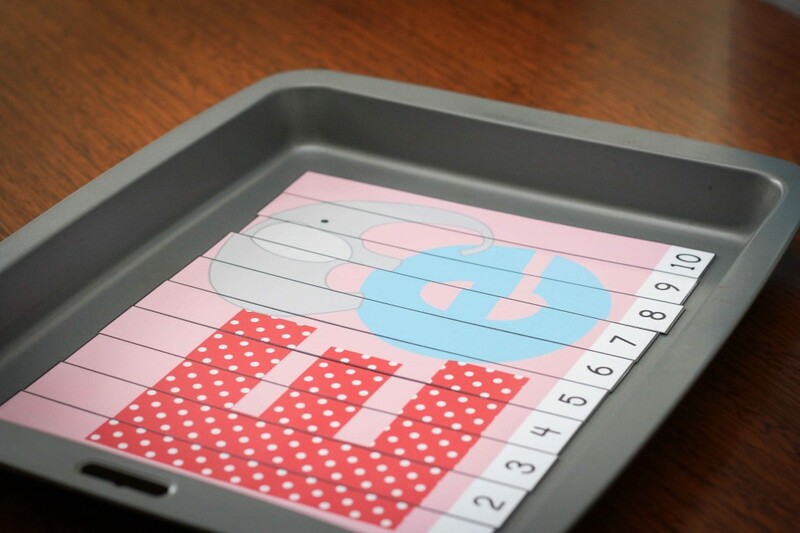 Because he likes books so much, I thought we would try out this alphabet mini book. 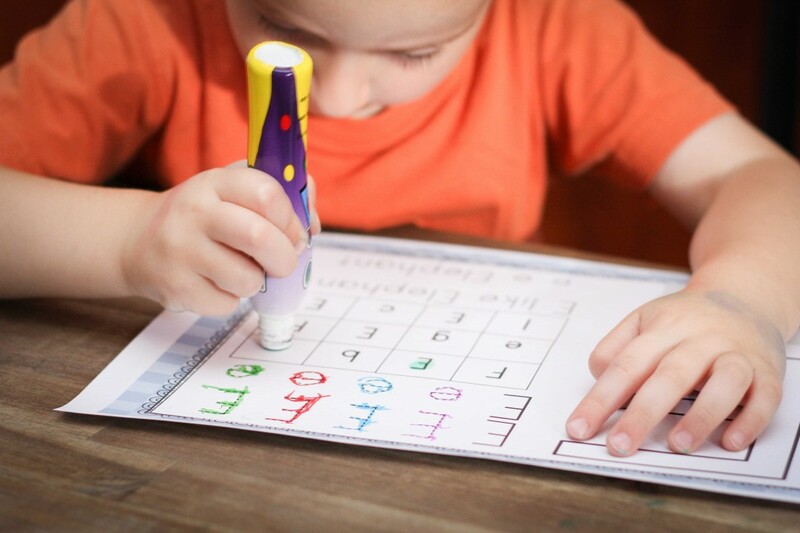 It focuses on letter writing, beginning sounds and letter identification. As with other books he makes, he couldn’t wait for Sam to come home and show him what he had done. 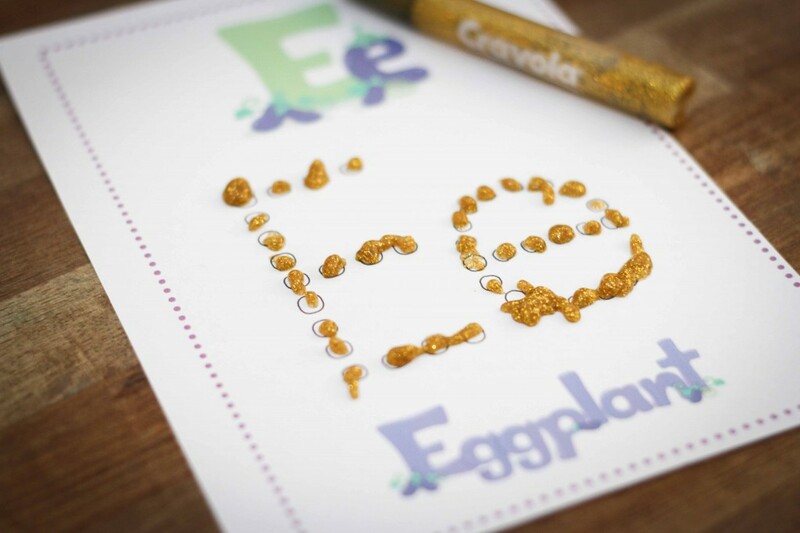 Filip wanted to use some glitter glue to complete the Q-Tip Letter E page. His fingers got tired of squeezing by the end of it and he rushed the last bit! 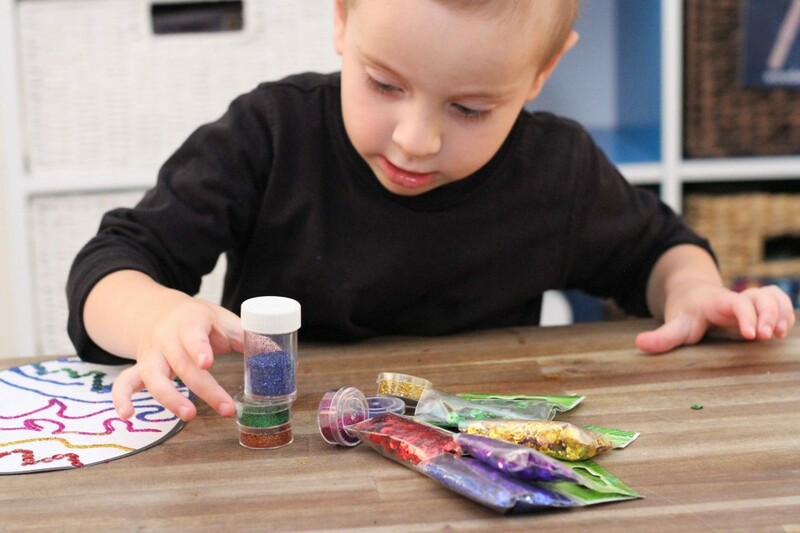 And here he is continuing to play with the glitter bottles long after we finished the craft – that’s how much he loves the thing! 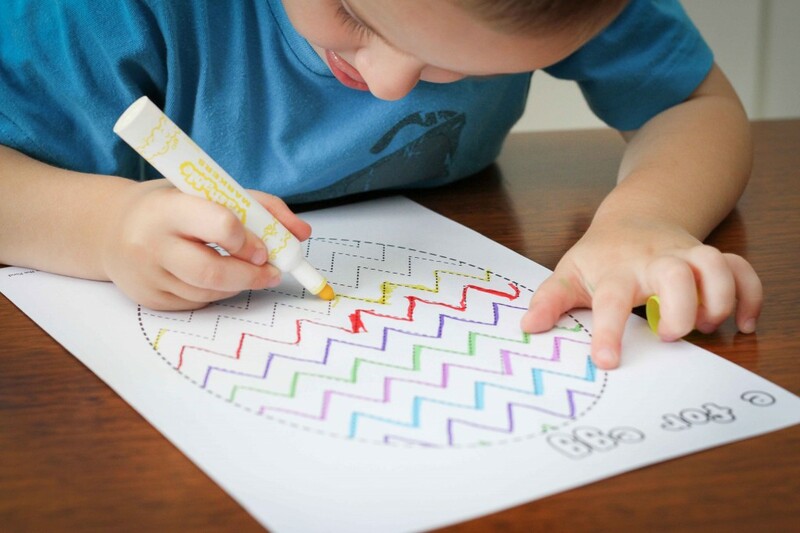 I am loving your letter of the week crafts! 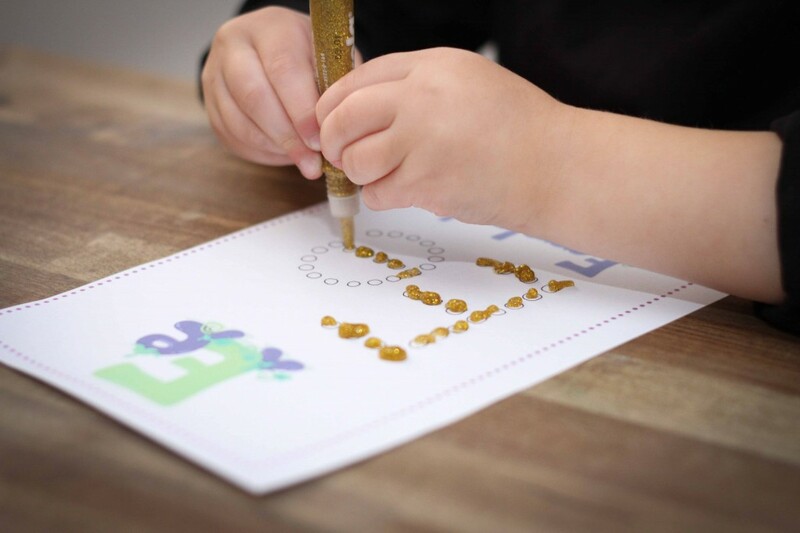 Love that you have both the uppercase and lowercase letter crafts on the SAME page. Again, will be “stealing” this idea from you! 😛 When do you do Math with Filip? 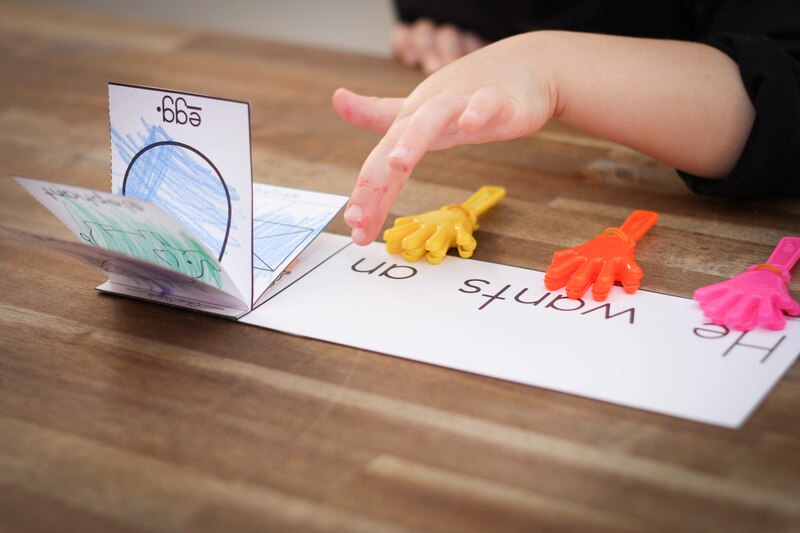 I love the hands you have under each word on the flip book, each time I get on your blog there is always another idea, something new, a better way of doing something! Nos that Ollie is bringing home readers I’m thinking of ways I can get him to point to each word as he reads it! I think the hands are the way to go, if you can tell me where you got them from (if you don’t mind sharing your secret 🙂 you must be so proud of Filip and what he’s doing already, absolutely amazing! 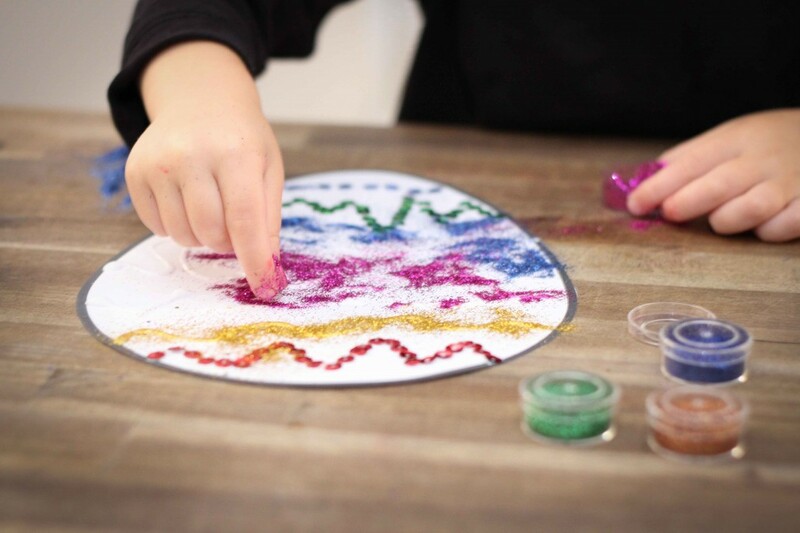 Where did you get your play dough mats from? Did you make them? Dear Lavinia, can you tell me please with which you merged the two papers in pinwheel? I would like buy it but I do not know under what name to look at ebay. In Australia, we call them paper fasteners, but I know that in America and other English-speaking countries they are also referred to as “brads”. I hope that helps you with your search! Yes, that’s it!Thank’s a lot, you helped me!Greetings from Croatia! Way cool! You used one of my items 🙂 🙂 so happy to see your little one using it! 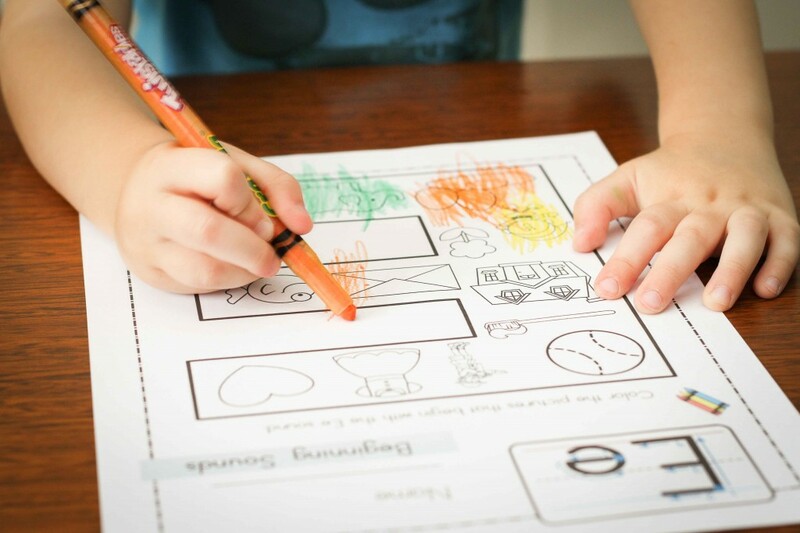 I love the beginning sound worksheet. Do you have them for all letters? I do have them available as a complete set only in my TpT and Teacher’s Notebook stores. Oh my goodness…way too cute!! Your little guys is ADORABLE! Love all the fun and engaging activities!! 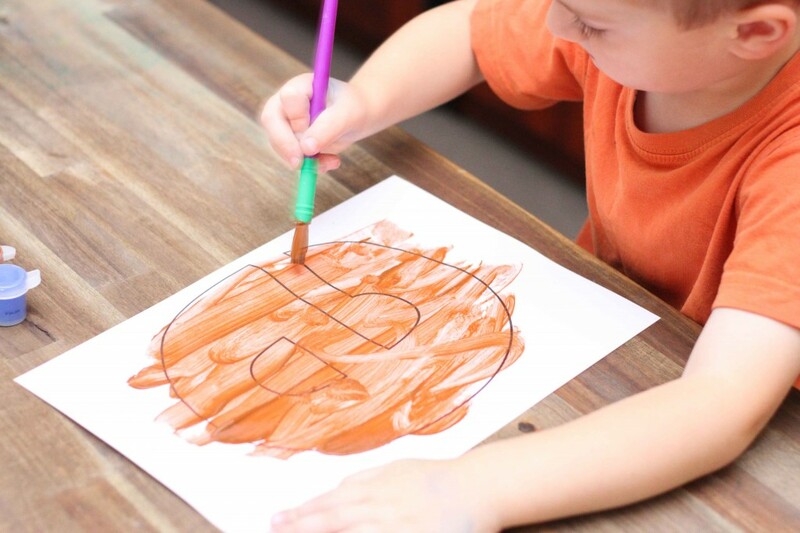 I’m so happy I came across your website, I am doing Letter Activities with my 20 month old and I love your ideas. I also love how you have links of every worksheet you use for Filip. Do you have an instagram account so I can tag you and your website to share with other mums if that’s okay. =) Thanks! Love your work, I find it a great help now that I am working with the kindergarten group at my school. Thanks so much for sharing. 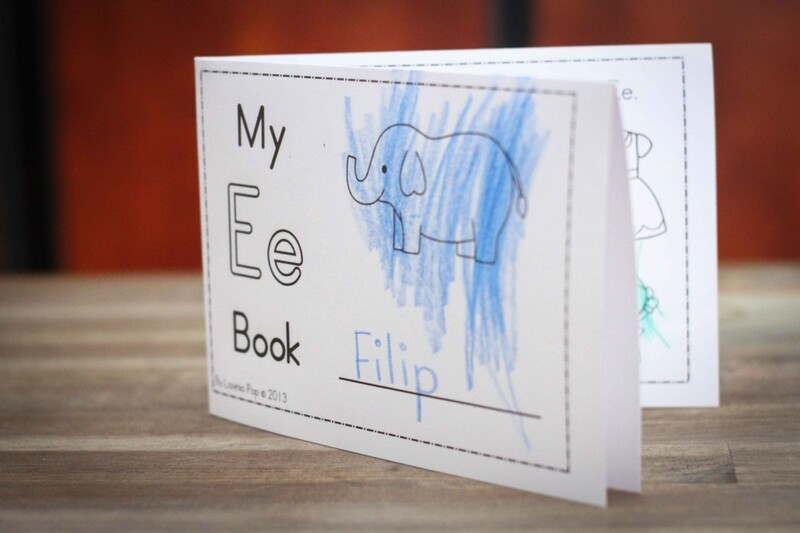 I do not know if you noticed a mistake in the letter e flip book. You have the word elf but a picture of a newt. I just want to say that I want to be your child lol. 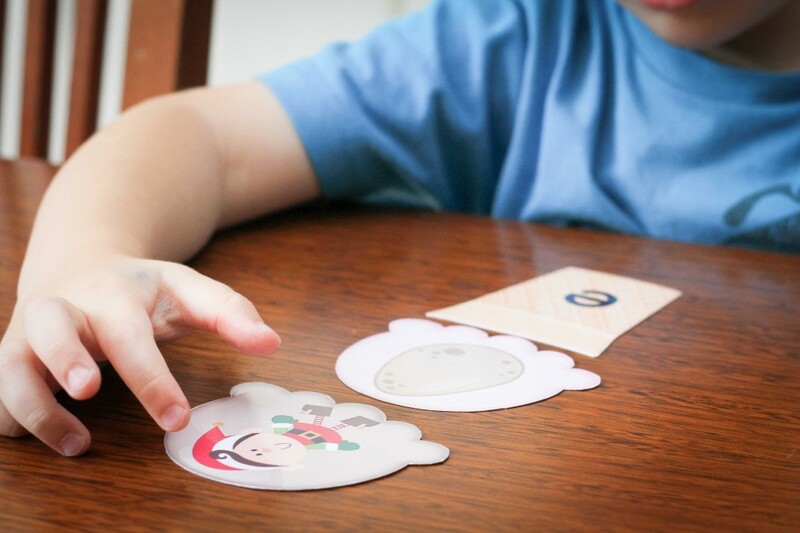 How fun and i love the idea of using a clapper per word to read the flip book. Thank you for sharing! Hi! Your ideas are awesome. I’m obsessed with your Tpt store. 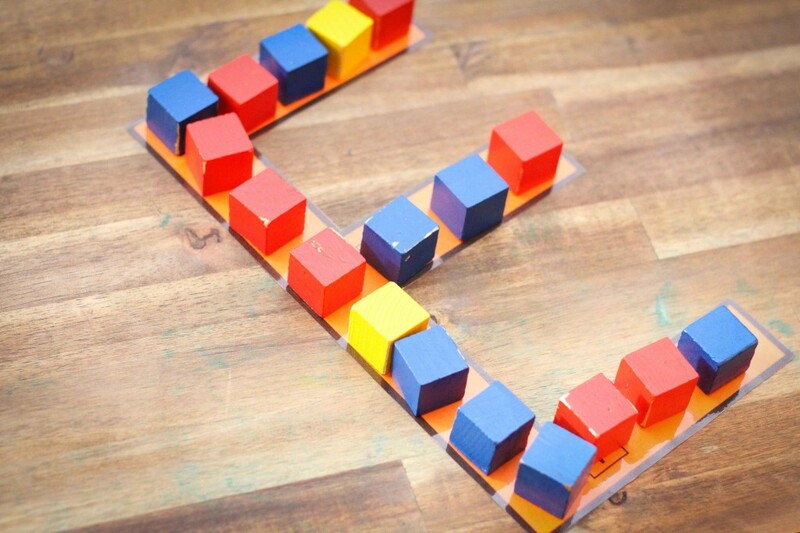 Just wondering if you have the full set of the alphabet for the letter building with cubes for sale? Thanks! I don’t have a complete set of the letters; I only made a few letters.